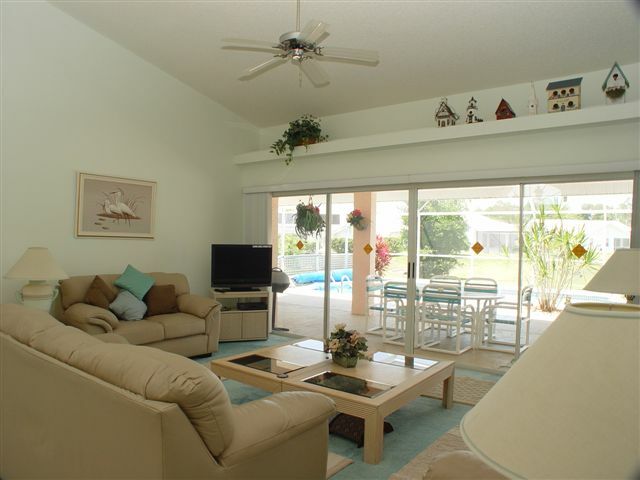 Anyone would find this spacious home cool and relaxing with it's beiges and aqua color scheme. 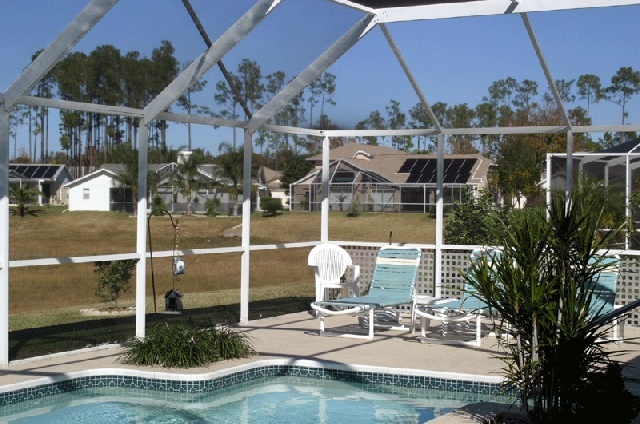 Large solar heated pool (Electric heating available at extra cost) with plenty of room to relax in the sun. Over sized master bath with garden tub and separate shower , king size bed and tv. Full size bed in 2nd bedroom and two twins in 3rd.